Ready to sell your house in Connecticut (CT) but not sure where to begin? At Sound Homes, our team of realtors, home stagers and licensed contractors, are at your disposal to get your home ready and sold quickly. will make your home stand out from the crowd and get it sold quicker and for more money. Nothing makes us crazier than listings of homes with photos taken on a cell phone just as the homeowner fled for work on a Wednesday morning. Dishes in the sink, beds unmade, realtor in the mirror, junk in the bathroom... ​real life, yes but not professional and not inviting. The internet is the tool which will sell your home - how you present yourself determines which buyers will want to come and view your home. Sound Homes has licensed Realtors as Real Estate agents to help you with all your real estate needs in Connecticut. We have over 18 years of residential real estate experience and the experience to know what your house needs to prepare for its photo shoot and quick sale! If you list your home with us we provide the staging and professional photography as part of our listing agreement at no extra cost. 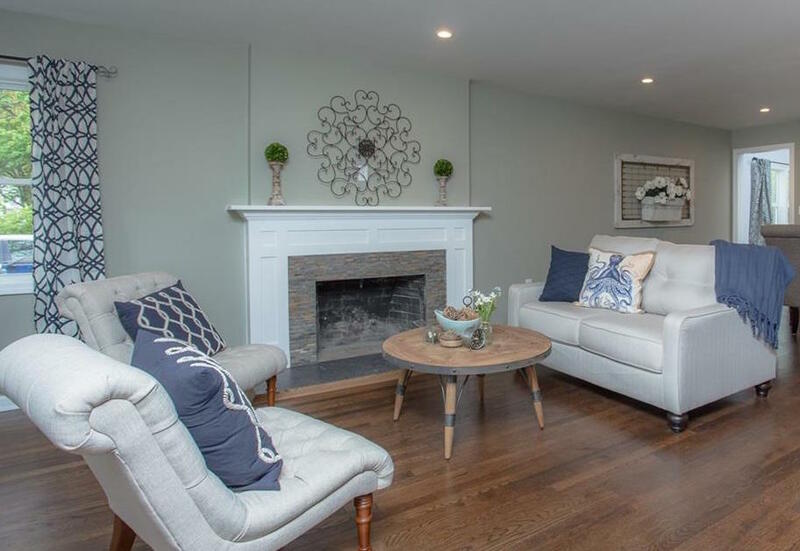 Staging a home has been proven to help sell a home quicker and for top dollar. Sound Homes can help you stage with our items or yours - depending on your space and budget. Staging is followed by professional real estate photography to showcase all our hard work to its best advantage. We employ professional movers to make the process smooth and careful. Everyone has that space in their home that is in need of a refresh. Let Sound Homes help you with the repairs, paint or remodel. We are licensed home improvement contractors and have the experience to know where your repair budget is best spent when its time to sell. ​We have families and budgets too, so we will be sensitive to both. Power of Staging! Sold under 36 hours. Under deposit in 3 days. Staged and Sold in a week. "My husband and I weren't looking to move from our two-family on North Elm. At seven months pregnant with our first baby, we were walking the dog in the neighborhood and stumbled upon a house we couldn't help but inquire about. Two months later, we're feeling at home in our charming little bungalow on Christian Street, and are proud parents of a baby boy. Entering the house buying process at such a delicate time in our lives, I was a little anxious, but from start to finish communication and follow-through was impeccable. The work Amy and her team did to update the house while preserving it's character was impressive. We love everything they did, from paint color to fixtures...gray cabinets, who knew?! From special touches, like the shadow box of items found in the home from years past, to followup on small items after we moved in (Paul is the very best), it's obvious to us that Sound Homes cares deeply about quality and puts incredible thought into renovating homes the right way. Even our inspector said Sound Homes did things they didn't have to do, going above and beyond what you would expect from a flipped house. We can't thank Sound Homes enough for our new home and a great experience. I look forward to following their upcoming projects!"